If you can’t, for the life of you, figure out which present will earn you major brownie points, don’t worry, we’re here to help. An almost fail-proof solution is to go the skin and body care route. Face mists, body scrubs, foot soaks, bath salts – there’s so much you can spoil ’em with. Check out our favourites in organic skincare, which is bound to make your girl ecstatic, particularly if she’s into all things natural. A 100 per cent natural skincare brand started by three sisters, Skin Yoga makes use of kitchen ingredients such as orange, coffee, oats, and green tea to make a range of yummy face masks & washes, scrubs, and foot soaks. It’s all rather luxurious. These folks use only certified organic herbs, flowers, oils, clays, and butters for their formulas, all of which come in dark apothecary glass packaging that is eco-friendly and recyclable. They’ve got face, hair, and body oils, salves, clay masks, exfoliators and lots more. Just pick one based on your partner’s skin type and you’re sorted. Boo going vegan? The range of soaps and body butters by Burst of Happyness will make them very happy. And you too, if your bank account isn’t in the best state this month. What We Love: True Desi Soap, which is made using gram flour, neem, and turmeric. The folks behind Ayca make use of essential oils, natural ingredients, and traditional methods to whip up body washes, lotions, scrubs, moisturisers, body oils, and lots of other goodness. If your girl’s a sucker for scents and fragrances, she’ll love this. A luxury brand that aims at self-indulgence and self-pampering, Hedonista’s got a range of bath, body and hair products we never knew we needed. Their soaps made with beer, wine, and dead sea salts, hair perfumes, and pillow mists—we want everything. What We Love: Strawberry & Chocolate Twosome—a combo of strawberry scrub and chocolate soufflé face mask. Yum. 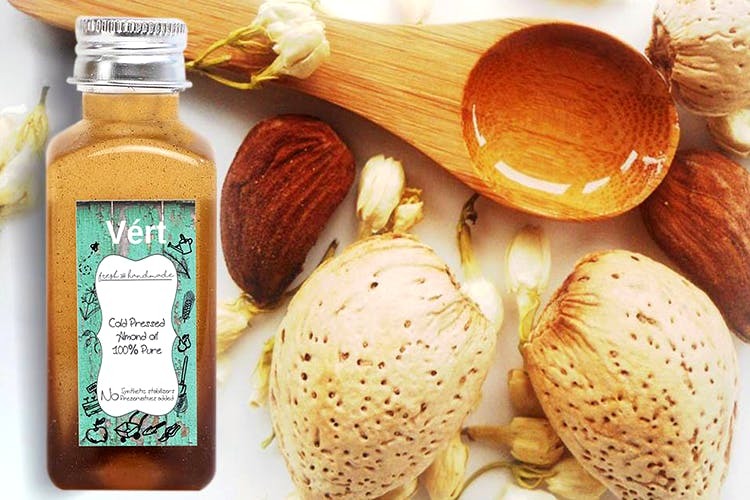 Vert uses fresh raw materials found in most kitchens and gardens, therapeutic herbs, pure oils and butters, and stays far away from the harmful stuff such as parabens, mineral oils, and any genetically modified ingredient. Their range includes delish products such as Choco-Smoothie Face Mask, Sweet Orange Whipped Mango Butter, Orange Espresso Milk Bathing Salt, and Fresh Orange & Honey Shampoo. What We Love: Pomegranate Shower Smoothie Soap – a scrub-soap in a jar made using pomegranate juice, glycerin, rose water, walnut, cocoa butter, and coconut oil. Check out our handy Valentine’s Day guide here!